Beebe Healthcare and Beebe Medical Group announce that Lisa Bartels, MD, a family practitioner with Beebe Medical group, will be moving her practice to Lewes, starting December 7, 2015. She was previously seeing patients at Beebe Healthcare’s location in Georgetown. Dr. Bartels is a member of Beebe Medical Group and the Delmarva Health Network. 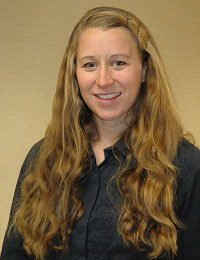 She earned her medical degree at Drexel University College of Medicine in Philadelphia, and completed her residency in Family Medicine at Lancaster General Hospital in Lancaster, PA. She is Board Certified in Family Practice. Dr. Bartels cares for patients of all ages. She is employed by Beebe Medical Group, the employed physician entity under Beebe Healthcare, which is comprised of 18 medical specialties in 25 locations throughout southern Delaware, with more than 101 medical providers and 151 support staff. Dr. Bartels joins Kirkland J. Beebe, MD, and J. Eric Hale, MD, both Board Certified in Family Practice, in Beebe Family Practice – Lewes, 1305 Savannah Road, Suite 1, (302) 645-2281. Beebe Medical Group providers include the specialties of audiology, dermatology, endocrinology, gastroenterology, infectious diseases and travel medicine, otolaryngology, pulmonary and sleep disorders, urology, vascular surgery, surgical oncology, cardiac surgery, internal medicine and family practice. Hospital-based providers include: the Hospitalist division of physicians and its nurse practitioners; the Observation Unit nurse practitioners; the neonatal nurse practitioners with the Women’s Health Department; and Dr. Abraham Scheer, the Board-Certified neurologist who oversees Beebe’s accredited Stroke Center. Beebe Medical Group also staffs Walk-In Care located in Millville, Millsboro and Georgetown, as well as a weekend Walk-In in Lewes.